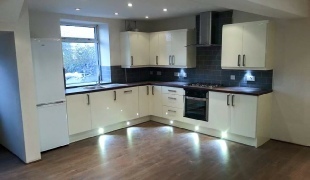 Inhome Design is a well established kitchen, bathroom and bedroom showroom near the centre of Merthyr Tydfil. 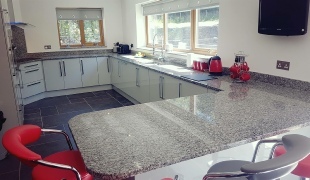 The company has been based in South Wales for more than 20 years and much of our business comes from recommendations of customers who have been delighted in the value and service they received from In Home Design. 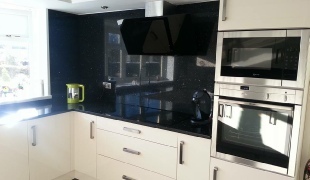 Our showroom offers over 15 fully fitted kitchen displays which are fully accessorised with tiles for you to consider when choosing the right combination for you. 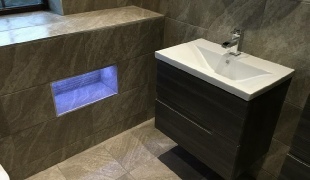 You will also find our fully fitted bathroom displays incorporating shower cubicles, fitted furniture, baths, mirrors, accessories, lighting and a full range of wall & floor tiles. 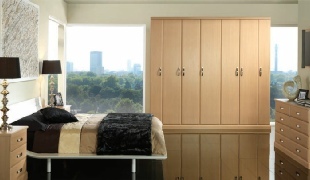 Our range of bedroom displays will give you ideas to create your perfect retreat. 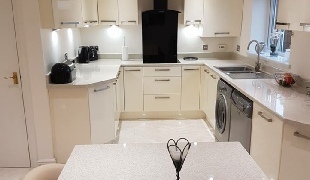 Inhome Design is the complete home improvement company specialising in the design, supply and fitting of kitchens, bathrooms and bedrooms, including building work, electrics, plumbing and tiling. 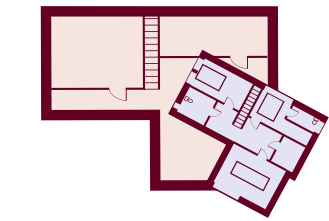 All carried out by recommended professionals and fully guaranteed. 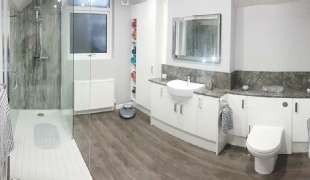 We offer for all your home improvements a FREE design service! Once you’ve chosen a kitchen - our designers will produce a bespoke design based on the space available and how you use it. 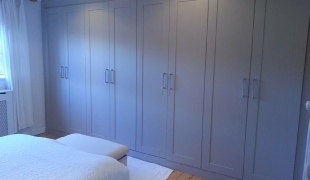 From wardrobes to dressing tables, we have everything you need to create your dream bedroom – all at a very reasonable price. A bathroom is somewhere that combines luxury and wellbeing as well as being a sanctuary to relax..
Gone are the days of simply cooking in our kitchens: today they’re places to unwind in after a hard day’s work or while away the hours at the weekend. old-fashioned customer service, impeccable planning and 3D design, and great prices year-round. 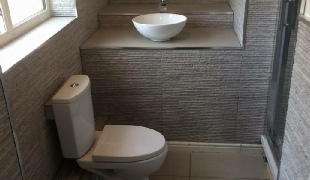 We will Design and fit your new bathroom including all plumbing, electrical, tiling and plastering and oversee the project from design to complete installation. 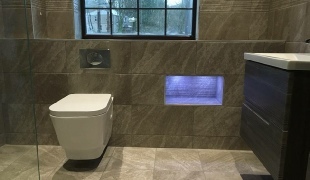 A bathroom is somewhere that combines luxury and wellbeing as well as being a sanctuary to relax. All tastes and budgets are catered for and if you can’t see exactly what you are looking for on display we can search our many suppliers to locate it for you.